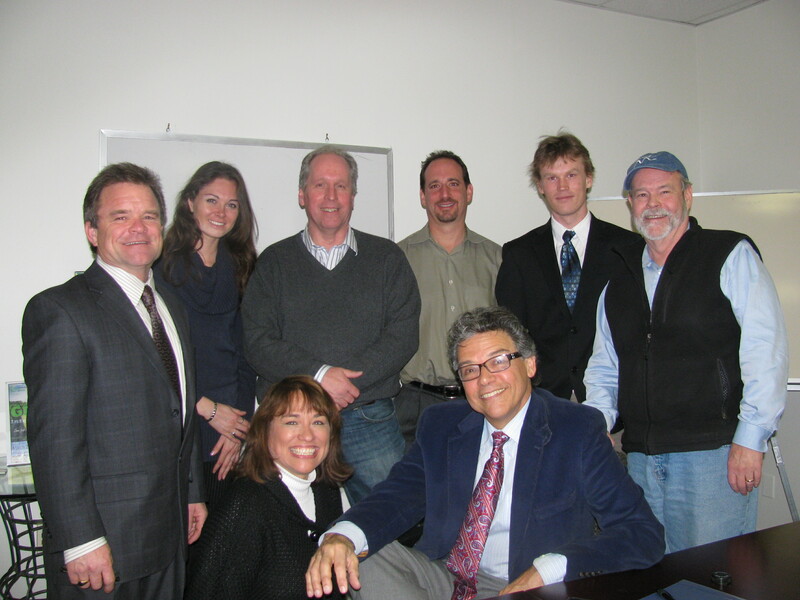 Rabbi Warren Stone (seated, right) with part of a Bethesda Green group discussing the recent Copenhagen Climate Conference. Rabbi Warren Stone from Temple Emanuel in Kensington, MD, led a fascinating lunchtime discussion Jan. 19 at Bethesda Green about his experience as an official delegate at the United Nations Climate Change Conference in Copenhagen. While his presentation touched on some of the troubling outcomes of climate change — rising ocean levels, leading to loss of arable land and resulting evacuations of small island nations in Micronesia to much larger threats in densely populated areas such as Bangladesh — Stone sounded a note of optimism. In fact, one of the highlights for Stone was the opportunity to sound an awakening call with a shofar, a ram’s horn, in a symbolic gesture at the world’s largest offshore wind farm — a call to action for all to consider how they can do their part to address global environmental issues. Bringing it back to the local level and our efforts to build community around sustainable living practices, one of the key pieces of advice Stone offered was to include a “joyful component” in our activities and events. 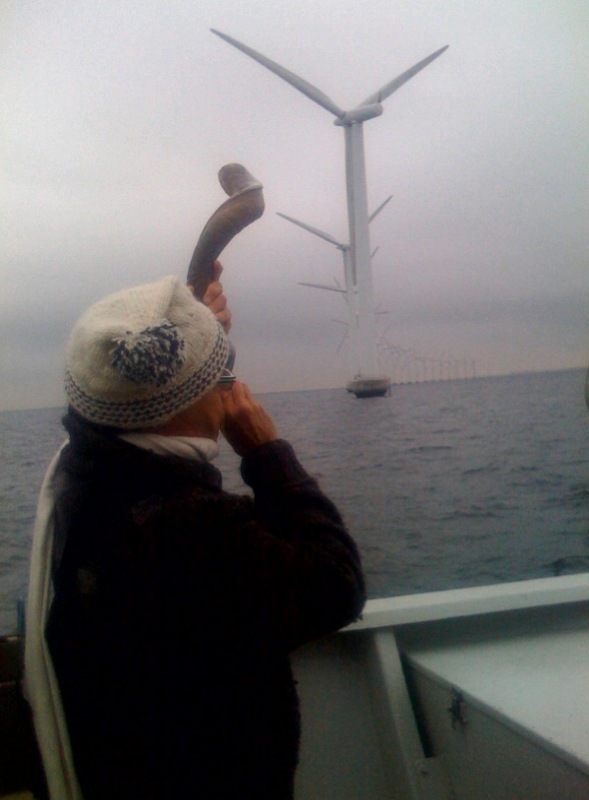 Sounding the shofar at an offshore wind farm in Denmark. Having fun, according to the rabbi, is an important part of any learning experience. We couldn’t agree more. For more information about Copenhagen and Stone’s experience there, see the blog posting from Lee Chottiner, executive editor of The Jewish Chronicle.